If you want the most luxurious lather your soap or cream can possibly produce, you must have a lather bowl. The Fine shaving lather bowl is thoughtfully designed from the ground up for this purpose. 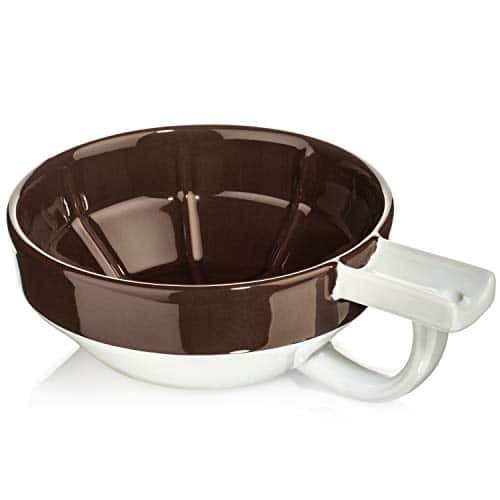 The first and only lather cup to support wall mounting – easily keep your lather bowl off the counter. Hang onto your mug in soapy conditions with a thoughtfully designed grip. A texture that aerates your soap or cream more quickly, and a place to rest your brush between passes. Low profile ribs aid in quickly building a lather and a brush holder on the handle to boot. ✅Extra wide head opening allows you to easily slide razor in and out.Snap lock closure to keep razor secure and protected while traveling. ✅Keeps your favorite DE Razor safe and secure at home or traveling. All the accessories you need to get the best and cleanest shave possible. 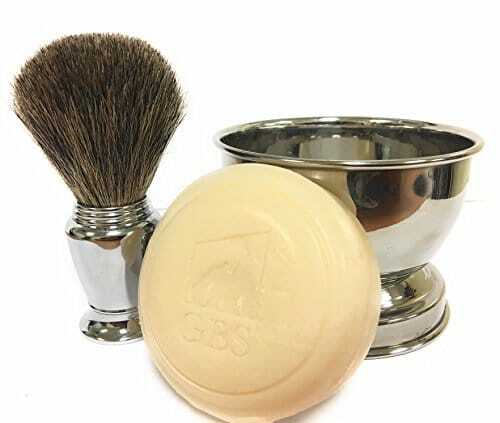 GBS Manufactures high-end shaving tools and Accessories GBS Proudly offers high quality craftsmanship and exquisite style at an affordable price Handmade for outstanding quality! 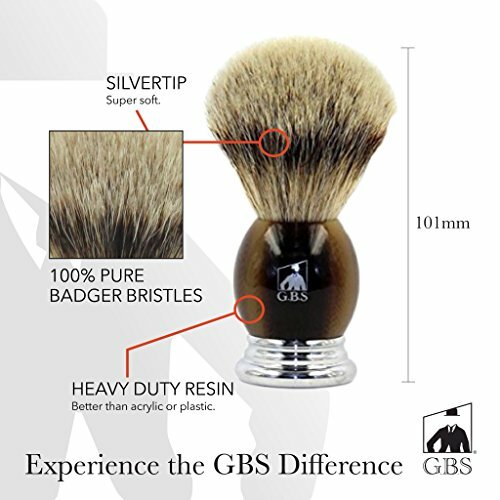 100% silvertip badger bristles – the best available Generates a fabulous lather with your favorite shave soap or cream Incredibly high bristle density ensures fabulous water retention Comes with a brush/drip stand to ensure proper brush drying and storage. How to shave: 1.Soak the shaving brush by warm water 2.Hot compress your face to moisturize, and soften the root of beard 3.Use shaving brush circling painting much foam of shaving soap/ foam on your beard 4.Shaving your beard according to the texture firstly, then reverse direction, from sparse to dense part, so that the dense part would soften more longer 5.Wash your face, cleanse the shaving brush by warm water and dry it on the shaving holder naturally to ensure longevity Instructions for use: 1. Wash the brush well with warm water after use. 2. Never keep the brush wet for long. 3. Do not use strong disinfectants or detergents – water is sufficient. Silvertip Badger Brush has a beautiful Horn colored handle. The chrome base makes the perfect accent to match any stainless steel shaving accessories. Creates a rich lather while gently exfoliating. Great for your wet shaving needs. The Silvertip hair is a higher quality badger hair, softer on the face. Brush fits great with any sized hand. Weighted bottom provides better grip while whipping up a lather with your favorite shaving cream or soap. Perfect for a high quality starter brush. Free chrome drip stand holder is great for storage and proper care of your brush. To extend the lifetime of your brush, hanging it upside down to air dry is crucial. ✅Pure badger bristle brush in travel canister is great for every day use or travel. ✅Enhance your shave creams/soaps with this brush. Whip up a nice rich foamy lather. Bristles exfoliate while not scratching your face for the best shave possible. ✅Brush head unscrews and goes into lightweight but durable brushed chrome tube. ✅Great starter brush! Attractive sleek look and its compact design is great for on-the-go! 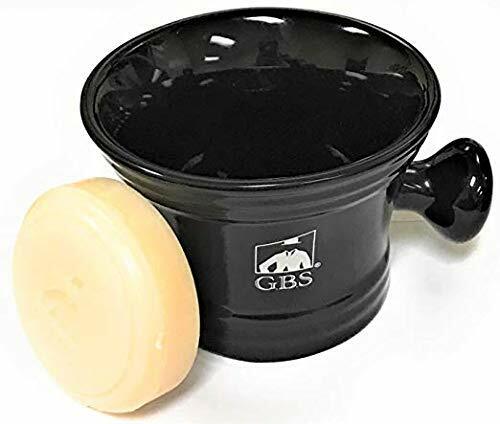 ✅EXTRA DENSE MUG: Fits up to 4 oz of soap. Deep mug helps prepare a proper lather. 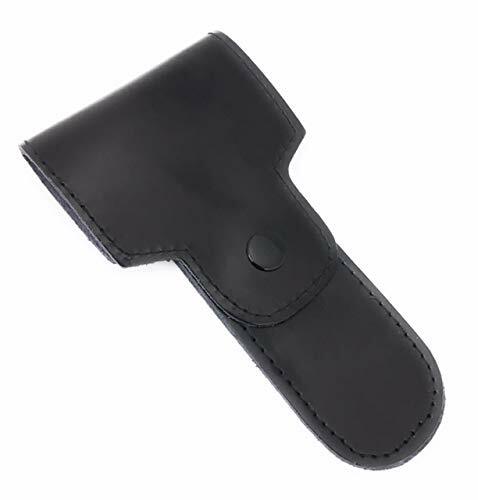 APOTHECARY STYLE HANDLE – Get a secure and sturdy grip to ensure maximum stability and comfort. Old-Fashioned heavy duty well-constructed mug. ✅ PREMIUM QUALITY: Our products have been inspected by a reputable third-party inspection company. Each product has been checked and put under a durability and functionality test before shipped to you. NO COMPROMISE on quality! ✅Soap: 3oz GBS Driftwood Shaving Soap Included! 97% All-Natural no toxic ingredients Made in the USA. A light masculine scent that is fresh and smooth. Our driftwood soap generates a rich, proper lather that assists in razor glide to prevent irritation and burn. All-natural ingredients and free of synthetic preservatives. Great for all skin types including sensitive skin. Reduces chance for razor bumps or rashes. ✅A HOT SHAVE: Thick ceramic walls retain temperature longer. 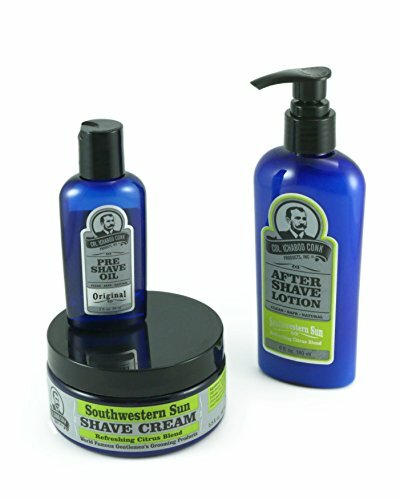 Lather your favorite soaps and creams directly in your mug, and enjoy a hot shave, just like at the barber shop! In 2015 Colonel conk launched it;s new shaving line with all natural ingredients. Rich, silky and luxurious, Colonel Conk’s Natural Shave Cream is a premium alternative to our natural shave soap. An experience to be enjoyed and savored! Creates the perfect buffer between your skin and the blade with a thick creamy lather with great hang time. Nutrient rich, long lasting shave cream with beard softening formula for a clean, close shave.Helps to lubricate skin and hair for a smooth cut. The Southwestern Sun scent is created by an exclusive blend of essential oils. Unscented Pre Shave Oil is the first step to an excellent shave, a proprietary blend of 5 essential oils plus other enriching ingredients. A high quality product with a hint of menthol, crafted to raise your hairs before the shave and provide that extra layer of lubrication which many wet shavers enjoy. Combined with Colonel Conk’s natural shave soap or shave cream, you will experience a shave like no other! More than 99 Percent natural, the Colonel Conk Natural Product Line includes that minimal fraction of a percent of preservatives sufficient to keep the product fresh on your shelf. 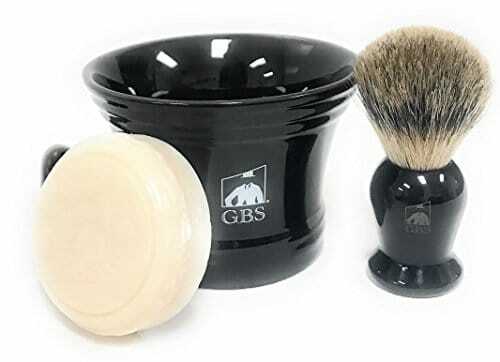 GBS Men’s Wet Shaving set – Pure Badger Hair Brush, GBS Stainless Soap Bowl Natural Shave Soap Compliments and shaving Razor for the Best Shave Makes a Great Gift For Men. 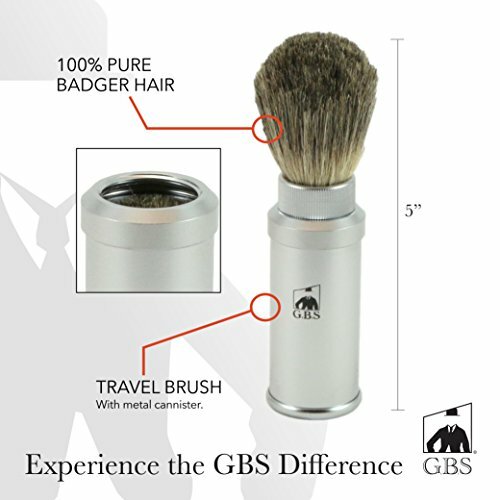 Pure Badger Brush – 100% pure badger bristles. 21mm Knot with chrome handle is designed perfectly for your hands. Retains water to the face while lathering. Great for your wet shaving needs. Shaving Bowl – Stainless Steel bowl is the perfect size for popular soaps. Durable than most ceramic bowls. The mirror-image look easily matches any of your shaving supplies. Professional Choice – Barbers across the country whip up a thick lather with our classic Vintage old School 3 Piece set. Make your Grandfather proud pair it with Razor to receive the ultimate Shave. Use a GBS Double Edge Razor, or Straight razor for Ultimate experience Durable – Well made extremely well constructed set for the money Badger Brush with Resin handle will not crack or chip 10x better than the competition plastic handles that go for more money Ceramic wide Knob Handle Shave Soap Mug – Just classic style simple yet sophisticated – whip your favorite soap anywhere anytime GBS Shave Soap – Made in the USA Quality GBS manufactures high-end grooming tools and accessories. We proudly offer high-quality craftsmanship and exquisite style at an affordable price. 100% Satisfaction Money Back Guaranteed!